Get ready for some fantastic family friendly fun as you hold on tight while you’re being pulled across the sea at exciting speeds! Banana boat rides are available across our entire yacht range and they’re a great experience for you, your family and friends! Looking for a way to spend time with your family while also getting your fix of adrenaline and excitement? Well the banana boat is the perfect option for you. You’ll be towed from the back of a jet-ski as you soar across the ocean of speeds up to 50 kilometres per hour. Each banana boat ride can seat 1 -4 people in total, which means you have a fantastic amount of room for not just yourself, but your entire family to enjoy themselves. 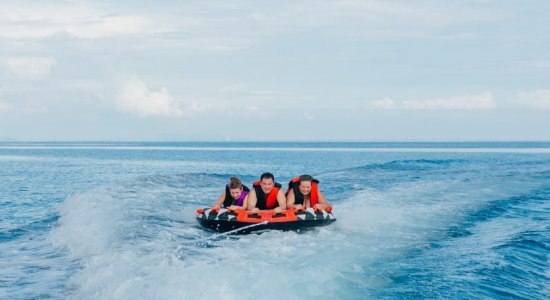 You won’t have to worry about the safety of your friends and family as you watch from afar, because with the four seats the banana boat offers, you’ll be right there with them enjoying the speed and excitement of the ride while feeling safe and secure. Each person will be equipped with a fitted life jacket which will keep any rider completely safe in case of an accidental slip or fall. This is a great way to introduce your family to some awesome thrills that’ll have them feeling like they’re on a rollercoaster while still having the security and confidence that no harm can come their way to ruin the fun. The name speaks for itself; the banana boat is in fact an inflatable boat that is both the colour and shape of an actual banana. 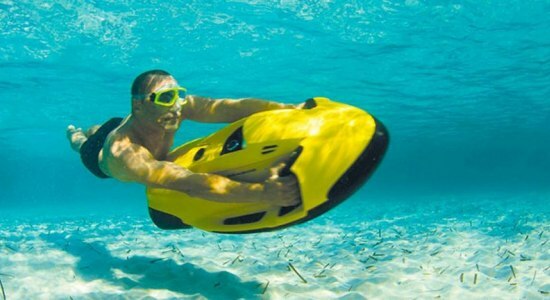 With no motor or significant weight to it, the banana boat is a great option for families and friends who have no prior experience to water sports and would like to venture into this brand new world. 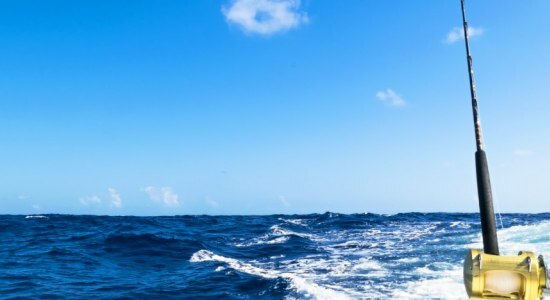 While the luxuries and high-class living on our range of yachts is irresistible, it’s always a fantastic choice to venture out onto the other end of the spectrum and chase the thrills that the ocean holds. 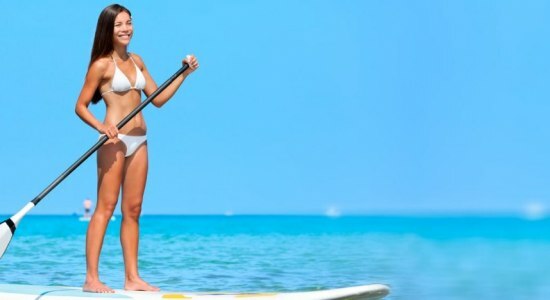 The banana boat is the perfect opportunity to do just that, without having to stress about needing to learn new skills or take a risk and have to end your holiday shorter than expected. Any adventure across the ocean needs not only luxurious living, but also moments you can feel the thrills of life with your family and friends. 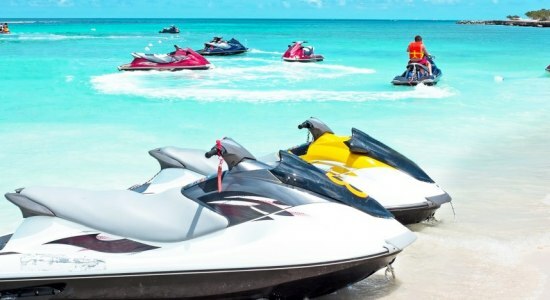 So when you’ve finished your drinks and had your fine dining experiences get on top of one of the most zany and exciting water activities and take an exciting ride behind a jet-ski as you speed across the ocean with no hassle at all. A whole new world awaits you on the ocean and we’re giving you the opportunity to venture into it without any hassle at all while also allowing you to take your family along as well. Don’t take this ride for granted and be a well-loved friend and family member as you give them the opportunity to experience some great fun.